Want to know what kind of sacrifices Alec makes? Alec has a NYC apartment (comprised of three units) which has two master bedroom suites and takes up the 12th floor of a building. Alec has a HUGE mansion in the Hamptons. Back in 2011, Alec was paid to promote airline travel/miles via the “Match My Miles” program for Capital One. The deal: Open a Capital One Venture Card and consumers had the opportunity to match up to 100,000 miles they currently have (had) in an airline credit card rewards program. Sacrifices for thee but not for me. From Daily Mail: Alec Baldwin was speaking at a UN panel in NYC on the subject of threats to forest defenders during an annual meeting on Tuesday. ‘I recognize – as does anyone that is paying attention that Indigenous Peoples across this planet are on the front lines of the fight to protect forests and deserve and need the support and protection of the international community,” he said. Alec called for the public to make ‘certain sacrifices’ if we want to see the planet thrive and help combat climate change. He also insisted that he loves the UN because of its ‘permanent missions’ to make the world a better place. ‘There are things that we just can’t imagine that can happen in terms of the food supply, in terms of climate change, in terms of flooding in coastal areas in the United States and beyond. The time is now to make certain sacrifices … so that this planet will remain habitable for today’s children,’ he preached. King County Executive Constantine: Respects the rights of illegals over federal laws. Yet NOT A PEEP from King County when illegal aliens were deported from this airport under the Obama Administration. TDS-infected HYPOCRITES. “King County Executive Dow Constantine signed an order that directs King County International Airport to amend lease practices with the goal of banning flights of immigration detainees chartered by Immigration and Customs Enforcement. The action applies to companies that operate hangar space and other facilities. Meanwhile, King County International Airport will update its rules to make ICE flights more transparent. In June 2018, King County became aware that ICE was transporting immigrant detainees through King County International Airport via charter aircraft. Since that time, King County officials from the Executive’s Office, airport, and King County Prosecuting Attorney’s Office have reviewed operations and legal options to better understand ICE activities. At Executive Constantine’s direction, King County also reached out to advocacy groups to begin formulating a response. Neither ICE nor its private contract air-carriers are obligated to file passenger manifests or flight schedules with King County. King County cannot board planes to inspect passengers or cargo, nor direct federal air traffic controllers to prevent any plane from landing. On April 23, Executive Constantine signed an order to ensure future long-term leases with companies that operate hangars and other facilities at King County International Airport comply with local immigration and human rights ordinances. Specifically, ordinances that dictate that King County will not cooperate or facilitate immigration enforcement directives unless accompanied by a court order. The Executive Order also updates King County International Airport’s “Minimum Standards” to provide reports and audits from businesses involved with transporting immigration detainees. King County International Airport will, to the extent possible, install security cameras at public ramps and other key locations. Last November I told you how Christopher Rufo, a candidate for Seattle City Council, dropped out of the race due to the intolerance and bullying of Seattle progressives. Rufo, who describes himself socially progressive and fiscally conservative, dared to attend an event sponsored by a conservative group. That earned him the wrath of local progressives – along with many threats. “Christopher Rufo said that he wanted a new way of doing business, a new method — and now he’s already out. On Wednesday, he sent an email out to members of his campaign saying that he’s got to leave. It’s not because he wants to leave; it’s because of the “tolerant” atmosphere in Seattle. 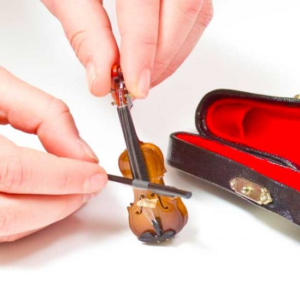 Last week, Christopher exposed a component of what is really happening with the ideologues in that city: the elites, city leaders and their allies have been coordinating a PR campaign to convince everyone that everything is fine with their homelessness crisis. “In Seattle, people are losing patience with city leadership over the homelessness crisis, but the frustration is running in both directions: the city’s political, cultural, and academic elites are conducting their own revolt—against the people. 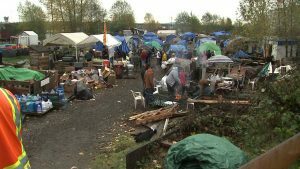 Since the release of Eric Johnson’s documentary Seattle Is Dying, which depicts an epidemic of street homelessness, addiction, crime, and disorder, city elites have launched a coordinated information campaign targeted at voters frustrated with the city’s response to homelessness. Earlier this month, leaked documents revealed that a group of prominent nonprofits—the Bill & Melinda Gates Foundation, the Campion Advocacy Fund, the Raikes Foundation, and the Ballmer Group—hired a PR firm, Pyramid Communications, to conduct polling, create messaging, and disseminate the resulting content through a network of silent partners in academia, the press, government, and the nonprofit sector. The campaign, #SeattleForAll, is a case study in what writer James Lindsay calls “idea laundering”—creating misinformation and legitimizing it as objective truth through repetition in sympathetic media. The key messages of the campaign include a number of misleading claims, including: “Seattle is making progress to end homelessness,” “1 in 4 people experiencing homelessness in our community struggle with drug or alcohol abuse,” and “[62 percent of Seattle voters believe] we are not spending enough to address homelessness.” All three contentions fail to meet basic scrutiny: street homelessness has increased 131 percent over the past five years; King County’s lawsuit against Purdue Pharma admits that “the majority of the homeless population is addicted to or uses opioids” (not one in four); and 62 percent of Seattle voters agree to the statement “we are not spending enough” only when it is directly prefaced in the polling questionnaire by the phrase “other cities of the same size are spending 2 to 3 times the amount that Seattle is and are seeing significant reductions in homelessness”—itself an unsubstantiated claim. 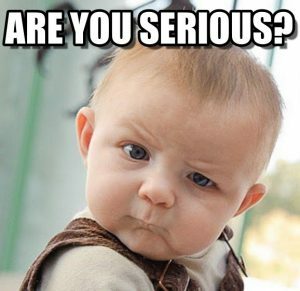 (When the same question is presented neutrally, without the framing, support for “we are not spending enough” drops to 7 percent). 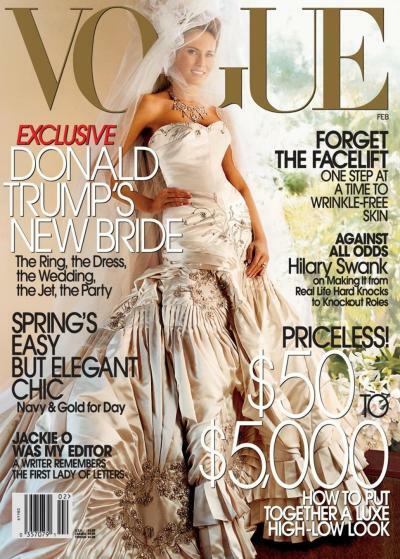 Nonetheless, the media have widely circulated or echoed Pyramid’s talking points. “New poll shows the majority in Seattle say we have a moral obligation to help homeless people, and we need to spend more,” declared Seattle Times data journalist Gene Balk. Catherine Hinrichsen, director of Seattle University’s Project on Family Homelessness, published “6 reasons why KOMO’s [Seattle’s ABC affiliate, which broadcast Seattle Is Dying] take on homelessness is the wrong one” in the local magazine Crosscut, arguing that the documentary “conflates homelessness with drug use, mental illness, and crime.” And Seattle mayor Jenny Durkan told reporters that “we have made a lot of progress” and dismissed the documentary as “an opinion piece.” Her office pushed the #SeattleForAll messaging on government social media channels. Read his whole story here. Man, I really wish Mr. Rufo could have stuck it through to become a city council candidate (yet I completely understand why he didn’t). This guy has what is truly lacking in that city: true bi-partisan leadership skills. Follow Christopher Rufo on Twitter here. Ben Affleck co-founded the Eastern Congo Initiative in 2010 and has been using the organization to raise awareness of threatened natural resources in the region. According to its website, the initiative revolves around the philosophy that local, community-based approaches are essential to creating a sustainable and successful society in eastern Congo. In partnership with Matt Damon’s nonprofit, Water.org, Affleck used his organization to support clean water initiatives in Africa. 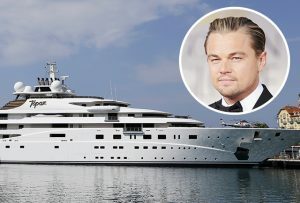 Dubbed “the greenest guy in Hollywood,” Leonardo DiCaprio has made significant strides in conservation. He has made investments in a vegan meat company and donated millions to help wildlife conservation and fight against climate change. DiCaprio has also invested in Allbirds, a sustainable shoe brand. For all of his efforts, the United Nations honored him with the title of Messenger of Peace on Climate Change. Back in 2011, Emma Watson collaborated with designer Alberta Ferretti to create an eco-friendly clothing line, Pure Threads. Since then, Watson has been intentional about her involvement in the sustainable fashion movement. She launched the Instagram account @the_press_tour specifically to share about her outfits she wore on the press tour for Beauty and the Beast. In captions, the actress educated her followers on the brand’s history and shared about their environmentally friendly standards. I don’t believe a word anyone from this family has to say. From TMZ: Jussie Smollett is the victim of an out of control media and social media storm and the “Empire” star is suffering profound emotional issues from simply telling the truth about the “attack” … so says his brother. Jojo Smollett says Jussie is “violently awakening from night terrors, following the assault” … so he says in an op-ed piece for BET. Jojo calls claims that Jussie staged the attack “ludicrous,” adding he has been insanely successful and didn’t need a phony reason to boost his career opportunities or salary. Jojo says Jussie didn’t even want to contact the police following the incident in Chicago and says it was his choreographer who insisted he do so and it was actually the choreographer who called the cops. Leonardo DiCaprio would be proud. 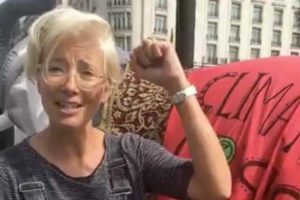 From The Sun: Emma Thompson was accused of hypocrisy last night after jetting 5,400-miles to take part in London’s eco-protest. 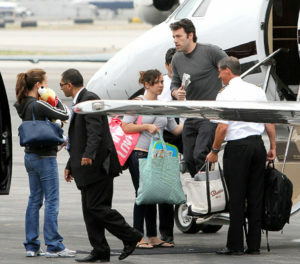 The Oscar-winning actress flew back to London from LA to support the eco-warriors plotting to take down Heathrow today. It is estimated that a single 5,456-mile transatlantic flight between Los Angeles and London Heathrow would run up a three tonne carbon footprint. Thompson posted a video on social media to pledge her support to the group. She donned denim dungarees and a green sticker of the Extinction Rebellion symbol in front of an inflatable plastic elephant. The Bafta-award winning actress explained that she would have joined the protest earlier but she had been busy celebrating her 60th birthday. She added: “I am so proud and thrilled to be part of Extinction Rebellion, a new movement that has come up behind all the old ones that I’ve been part of since I was 16 years old. Many protesters involved in the march have demanded that the Government limit how many times individuals can fly each year. Ringleader of the movement Robin Boardman-Pattison declared during a television interview this week that flying “should only be used in emergencies” despite appearing to travel extensively. President Trump has threatened to send illegal aliens to sanctuary cities. 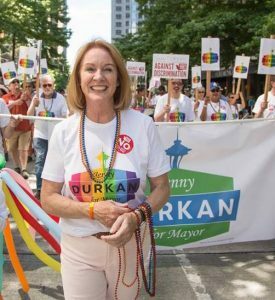 Sounds like Seattle Mayor Jenny Durkan is more than happy to accept them. In fact, she’s trying to convince her followers that she’s shown such great leadership that Seattle is more than capable of handling the illegal aliens they want to protect. Apparently because she has solved all the city’s problems.